Calling all artists! Going to Folk Alliance 2015? 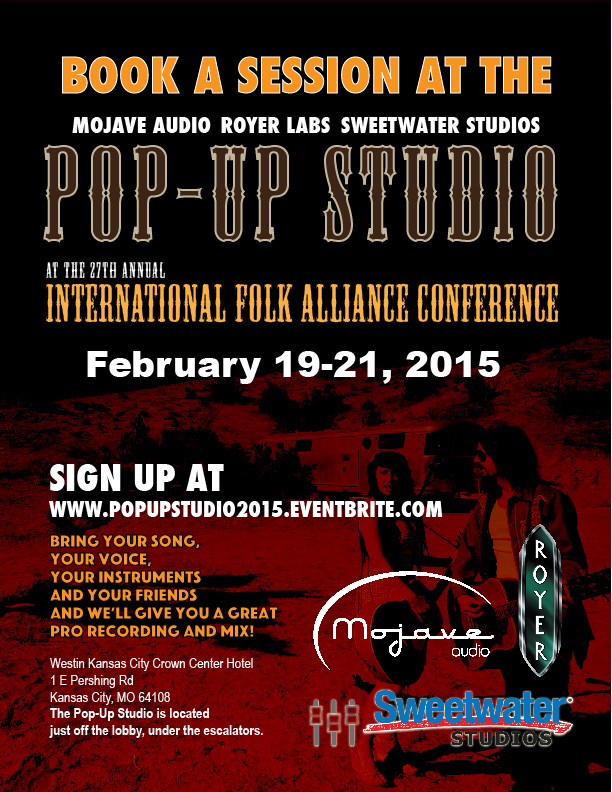 Sign up for a free one hour session at the Mojave Audio / Royer Labs / Sweetwater Studios Pop-up Studio.